In the aftermath of the financial crisis, investors are searching for new opportunities and products to safeguard their investments for the future. Riding high on the wave of new financial opportunities are Alternative Alternatives (AA). However, there is a dearth of information on what Alternative Alternatives are, how they work, and how they can be profited from. 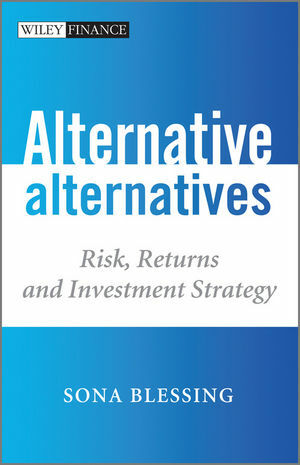 The book defines what Alternative Alternatives are, based on research and the following hypothesis: If the source (origin) of the risk lies outside of the financial markets, then it should be insulated from the vagaries of those markets. The book identifies and examines such and other unique, idiosyncratic, and difficult to replicate sources of risk - assets and strategies. The recent credit and sovereign debt crisis have served to defend the hypothesis and have upheld the conclusion that alternative alternative assets and strategies offer a risk-return profile that is distinct to those offered by traditional and main stream hedge fund strategies. These strategies include timberland investing, insurance risk transfer, asset/loan based lending (aviation, shipping, trade, entertainment, litigation financing etc), collectables and extraction strategies such as volatility and behaviour finance. This book will be a one stop resource to the new investment class known globally as Alternative Alternatives (AA) and will provide a comprehensive but accessible introduction to these assets. It provides an in-depth analysis of the assets and strategies which will leave investors with everything they need to identify and allocate to the best AA for them. It reviews the asset on a standalone basis, providing an explanation of the product, its characteristics, a SWOT analysis, and details its risk/reward drivers. The book also looks at how to integrate the asset within a portfolio - its peculiarities, the challenges and the constraints of each. Next, the book shows how Alternative Alternatives are used in the real world, how they are implemented, and the results that they have achieved. Finally, the book looks at the scope, scalability and prospects for each asset in the future. Sona Blessing is an independent research specialist and consultant in ‘Alternative Alternatives’. She launched and also manages and moderates Opalesque Radio. Prior to this Sona was Senior Adviser and Opalesque’s Director of Research as well as Editor of the weekly publication A SQUARE –which she researched, and launched in January 2007, and researched, authored and edited until the end of July 2009. She is on the education committee of the 100 Women in Hedge Funds Zurich; has been a guest lecturer on Alternative Alternatives at the Zurich University of Applied Sciences (ZHAW) and is also frequently invited to moderate panels and share her expertise as a speaker and author. In the past she has held positions as a hedge fund research strategist, and a global market strategist. Sona also has extensive experience in business journalism worldwide.